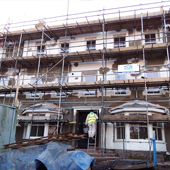 ﻿Homeshield also specifies and undertakes projects on larger residential and commercial premises, including work for large UK house builders. We can apply our coatings to commercial premises too. Large projects can be priced very competively. The appearance of your commercial property reflects the image of your business. 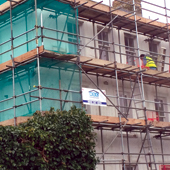 Call us and arrange an appointment with our inspector to receive a comprehensive quotation. 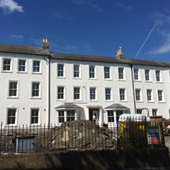 Hoburne Development Co. Ltd, a well established Dorset property company contacted Homeshield in the Spring of 2015 to carry out a survey and document a specification to repair and renovate the exterior walls of Field House, a substantial and prominent property on the Naish Estate in New Milton. The property had fallen into a state of disrepair and had become an eyesore. 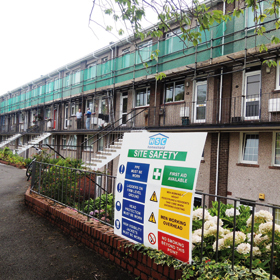 You can download the full Hoburne case study here and see how Homeshield helped improve the property. for information, advice and quotations about this service. Designed & Powered by ENIGMA.